A few weeks ago I wrote a CLASSroom post on Transparency Tricks and have decided to continue and make it into a little series. 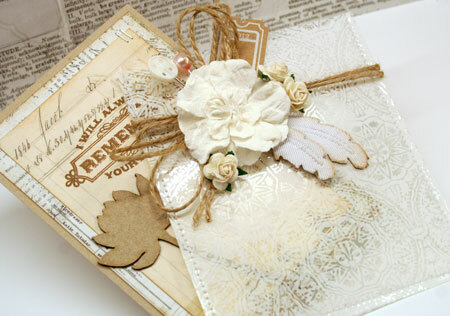 My most recent projects use a gorgeous Damask overlay to create a pocket card and a pillow box. I hope you’ll join me here in the CLASSroom. And stay tuned… I’m pretty sure I’ll be adding another episode in soon! 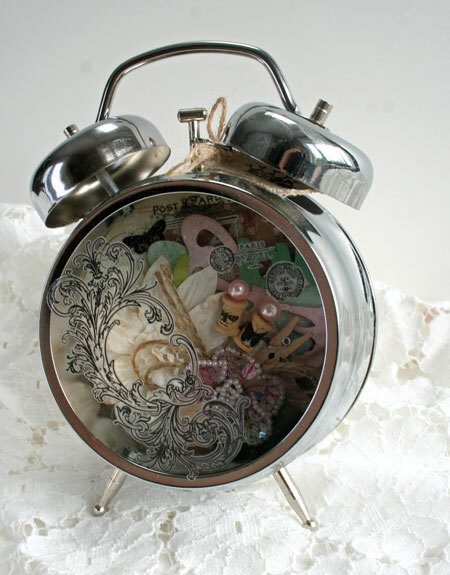 Today I’m in the CLASSroom sharing a favorite recent project, an altered clock. I hope you’ll join me for the tutorial and step outs. Thanks for stopping by and have a fabulous weekend! Happy Memorial Day weekend to my US friends! 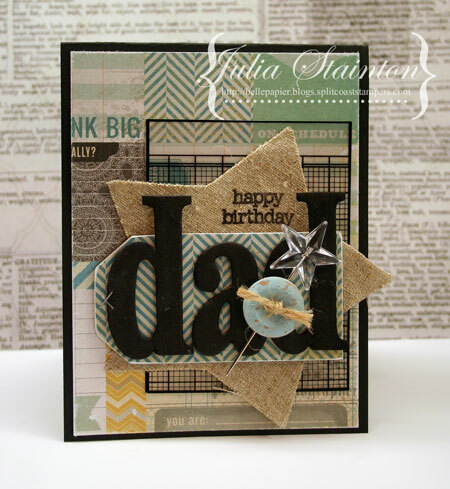 Today’s card is for a very special dad…mine. 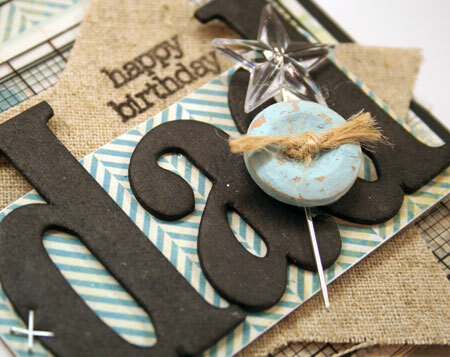 Yesterday he celebrated his 77th birthday and of course, I made a card for him. This man has not retired yet and is still going strong. He amazes me! With Father’s Day coming up, this card can be easily changed up to work for that occasion. How about switching out the birthday sentiment for something more like…you’re the best or the standard, Happy Father’s Day? I guess in some ways, I’m a bit of a girly-girl. 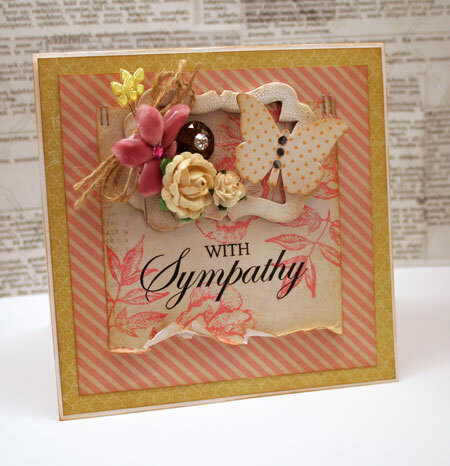 Most of my designs are ultra-feminine and I admit that it can be a bit of a challenge to design a masculine card. I’m a big fan of the chalkboard trend. It’s been around awhile now. 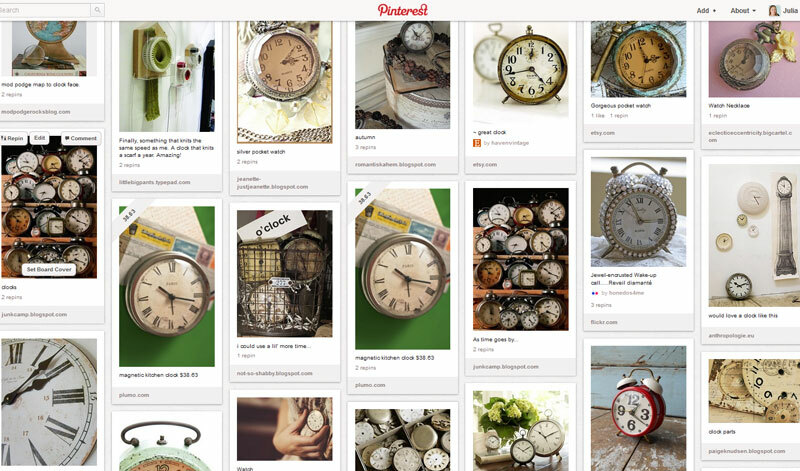 I first noticed it three years ago on the home decor and DIY blogs. I made my out chalkboard for our kitchen with some paint and an old frame I had in the basement. It still hangs there and I smile thinking about all the messages, menus and love notes that have graced its surface. I’m seeing chalkboard more and more these days in advertising and it has finally hit the paper crafting circles. 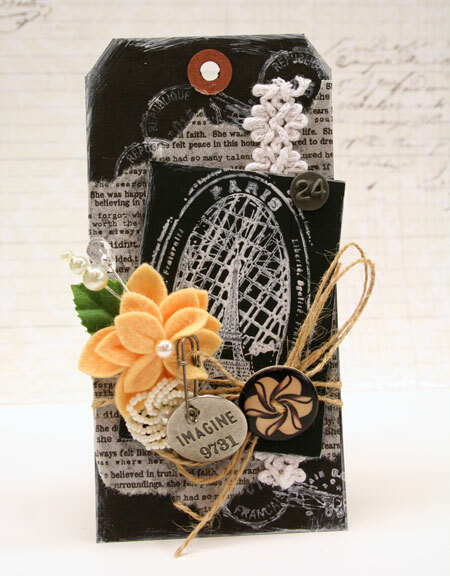 Today I have a tag version of chalkboard style paper crafting. It has a yummy vintage Paris flavour and I hope you’ll join me today in the CLASSroom for more photos and all the details. It’s the Saturday of Easter weekend so here’s a simple spring wreath for you. 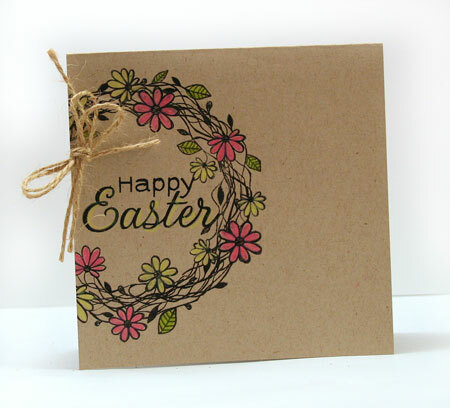 Just simple stamping and a few colored pencils. I love colored pencils on Kraft. 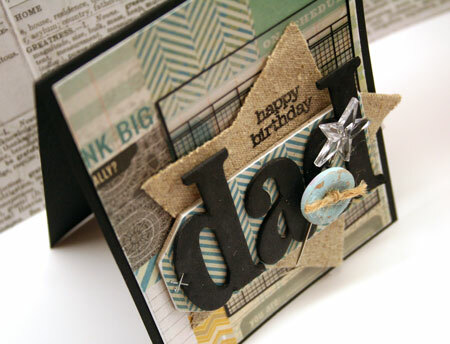 Quick Tip: Don’t be afraid to stamp off the cardstock for a partial image. My favorite project in a very long time. Having stained fingers just makes me happy. Bizarre, I know! 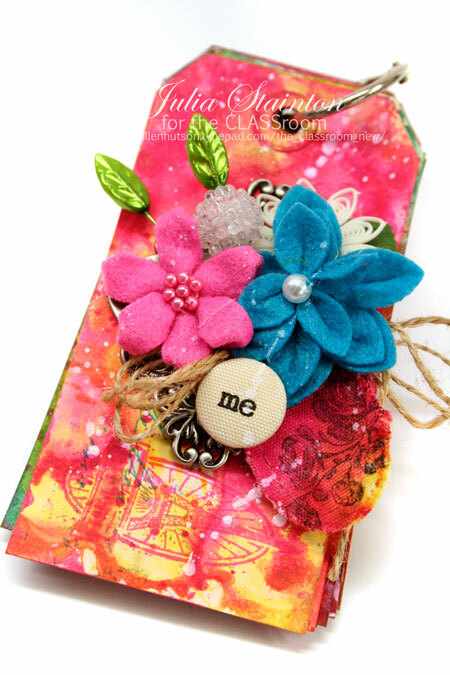 I created this tag mini art journal for my daughter. She loves to journal and I hope the beautiful colors will inspire her and also remind her of how much she is loved. 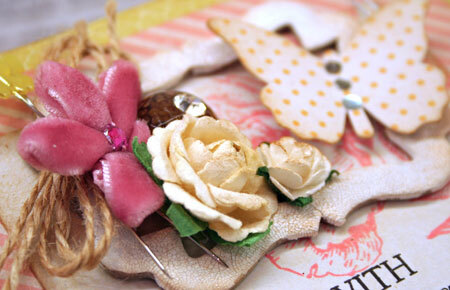 Today I’m sharing all the inky details of this mini in the CLASSroom. I hope you’ll join me!